Feeling beautiful is a daily choice. Did you know that 95% of women describe themselves as average as opposed to beautiful? That's a staggering statistic. Constantly talking about makeup, skin care and beauty products and how we look here on the blog really only has one goal: to make us all feel better about ourselves. The aside has been the "look" part of it. Sure, pretty makeup, great hair and great skin is nice, but it honestly is all part of the greater picture and inner beauty. If we don't feel the part, we are never going to look the part. What makes you feel you’re beautiful? 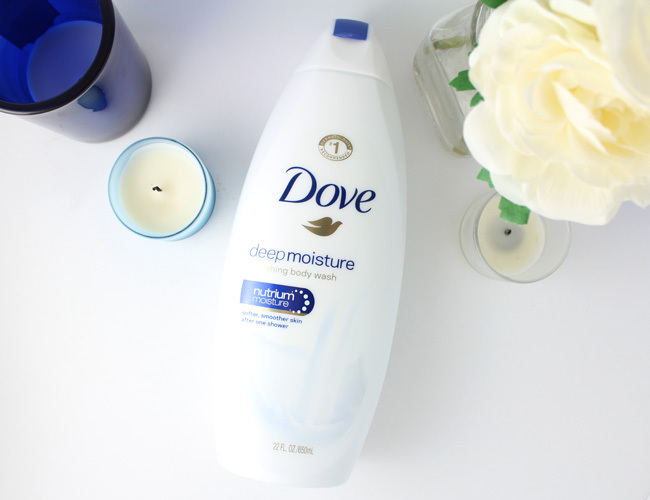 Dove is a great start to your daily beauty routine. With so many great products for your hair, skin and body, you can get out the door feeling and looking beautiful. 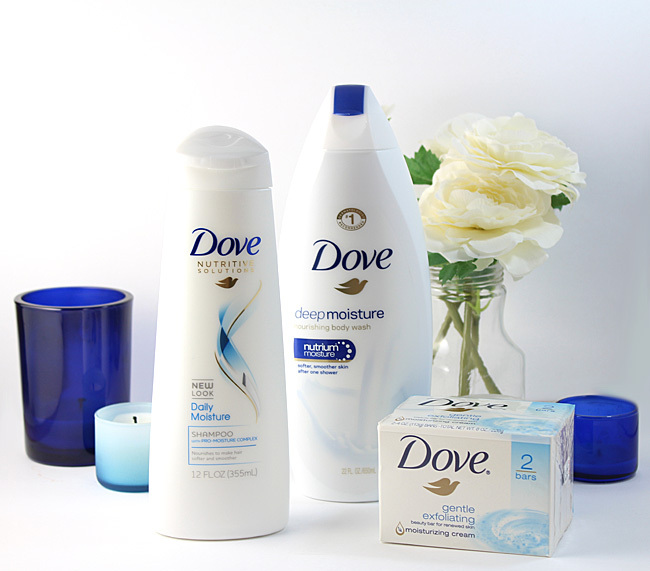 The secret to healthy, looking beautiful hair starts with great haircare like Dove Daily Moisture Shampoo & Conditioner. With new, updated packaging, this duo gets deep into the hair's cellular level with its Pro-Moisture Complex. I use the shampoo often and like the soft scent and how bouncy my hair is after washing. No matter how careful I am to use body lotion everyday, I still struggle with dry skin. To keep my skin looking and feel it's most beautiful, I need to start with a body wash like this one that deeply nourishes my skin with NutriumMoisture technology. It lathers nicely and rinses away fully to leave skin softer and smoother - which you will notice after just one shower. 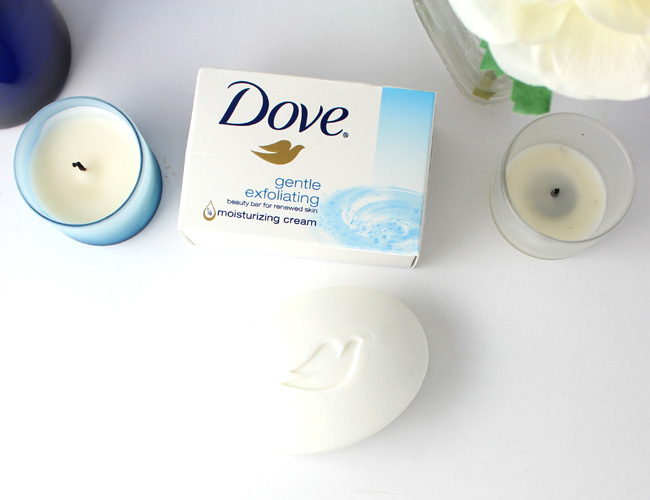 Not to be confused with soap, this beauty bar contains 1/4 moisturizing cream. That means skin is gently cleansed and exfoliated while the moisturizing cream helps it feel more firm, smooth and elastic. 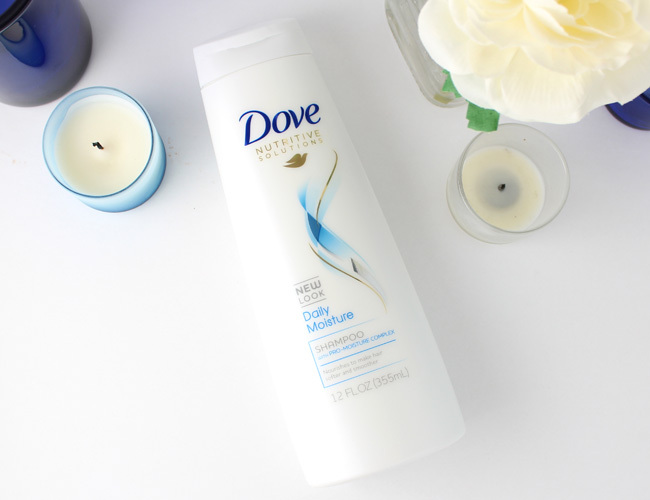 Watch the Dove #ChooseBeautiful video below. What door would you choose to walk through? After watching it completely, I know you will #ChooseBeautiful! 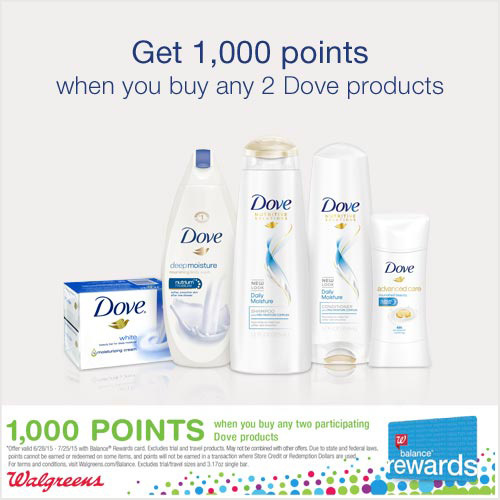 Now through 7/25, when you shop for your favorite Dove beauty products at Walgreens, you'll receive 1,000 Balance Rewards points when you buy any 2 Dove products*.